The locals tend to have the upper area of the valley of Valle Gran Rey to themselves. 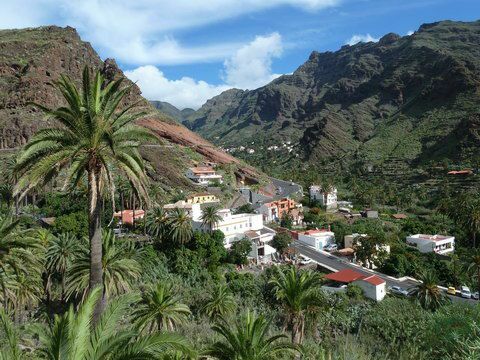 Steep cliffs border the traditional district, with it’s colourful gardens, luscious palm groves and productive spring. The stylish terraced landscapes of the Valle Gran Rey show of their full beauty here. Luscious greenery and rural charm are the main attractions of this valley. For centuries, little terrace fields were built on the slopes and kept well-tended. Even if some lie fallow today, many are still cultivated for corn and potatoes. Traditional fruits have always been cultivated here for domestic requirements. The wild cana plant still grows in the picturesque Barrancobette at the bottom of the valley. 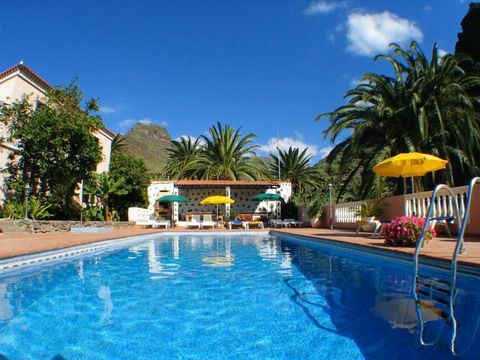 Anyone looking to relax and for some typical Spanish ambience during their holiday will feel right at home in the idyllic districts of El Hornillo, Casa de la Seda, La Vizciana, Guada and El Retamal. 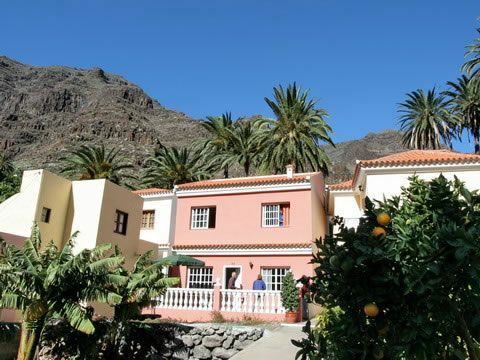 Hikers in particular, will find the ideal base here, for tours into the mountain world of La Gomera. Beautiful accommodation can be found in this natural environment in the upper valley of the Valle Gran Rey.